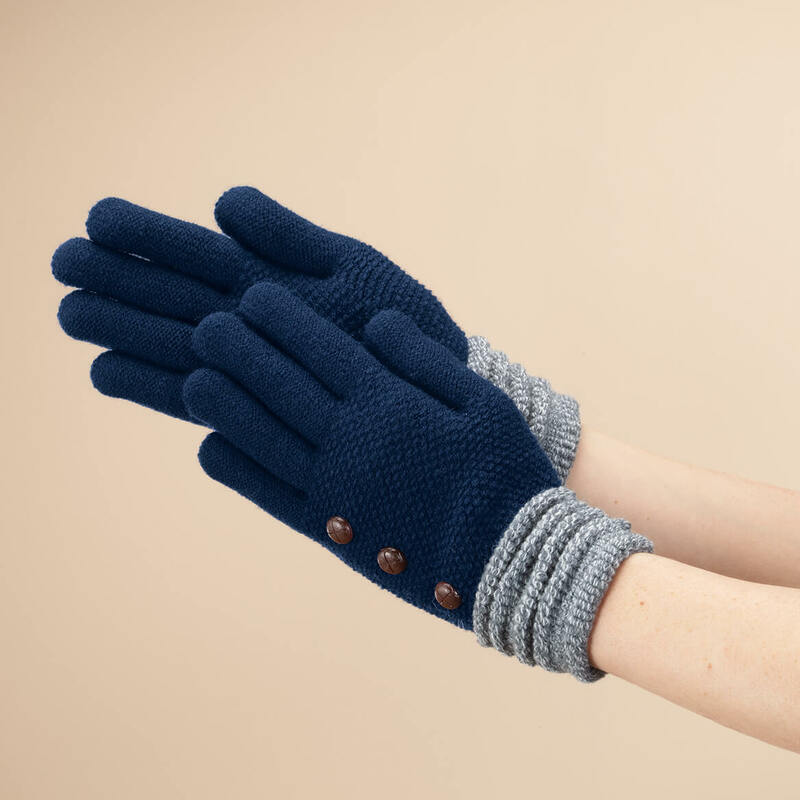 I think this is a very stylish pair of gloves. I had a pair before and lost one, and that really bothered me. I'm so glad they're a popular item that's still being sold, so I decided to buy another pair. I have several pair and I am buying 2 more pair as gifts. I love them. Hello I think these gloves are so Pretty and warm, I just love Them! Because they are super soft and warm. purchase 2 pair at a Ben Franklin store, way toooo cute and comfortable. They were out of the color I want. Went online to purchase. Love the buttons. This was the added sell for me. I purchased a pair in Williamsburg VA and my daughter loved them- so I am getting them for her for Christmas. They are super cute and warm. seems like a good deal, haven't received them yet. 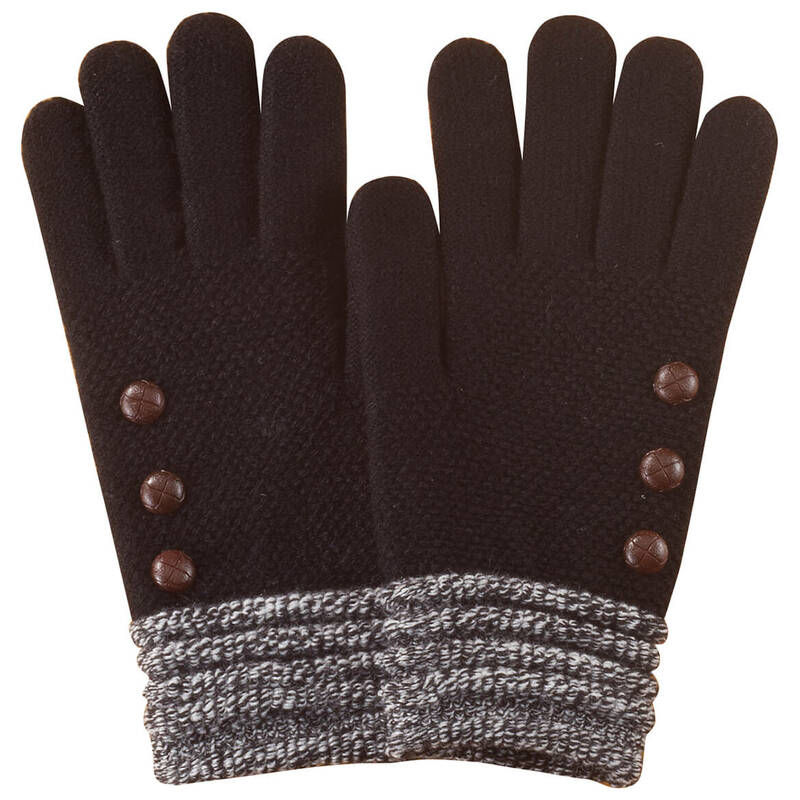 I'm not a glove wearer but when I saw these I thought they were just the cutest thing and had to have them. 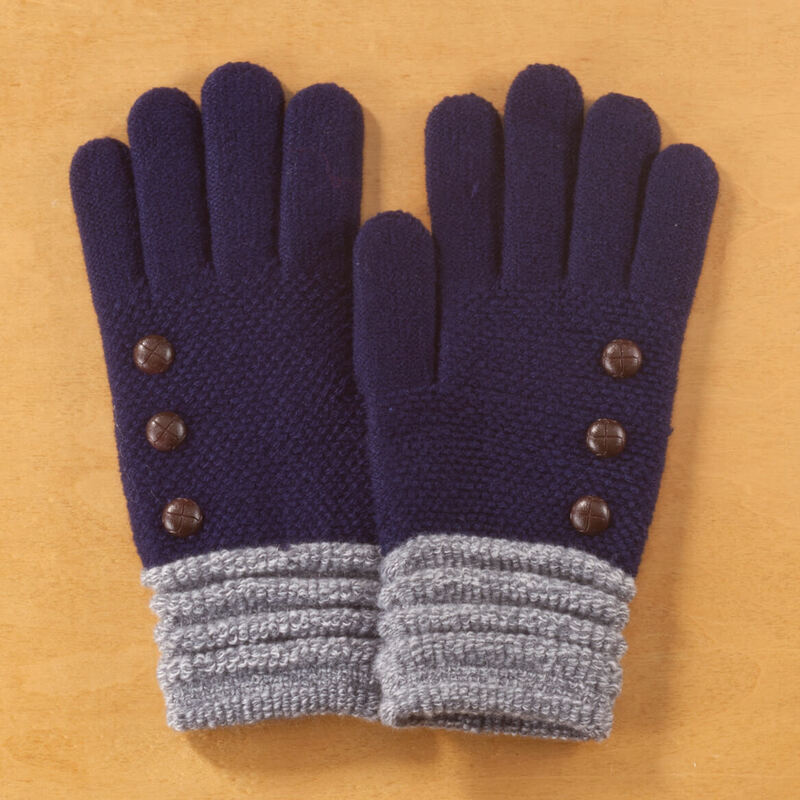 Thought these gloves were cute and warm for the winter. They have a very stylish appearance as pictured in ad. Great looking gifts for my daughters and they were on sale! They are a little dressing and look like they will be warm. It appears to be a nice quality, but have never purchased these before. I plan on giving them as Christmas gifts. These are the warmest gloves I have ever owned. So I just ordered 3 more pair to have on 'hand'. 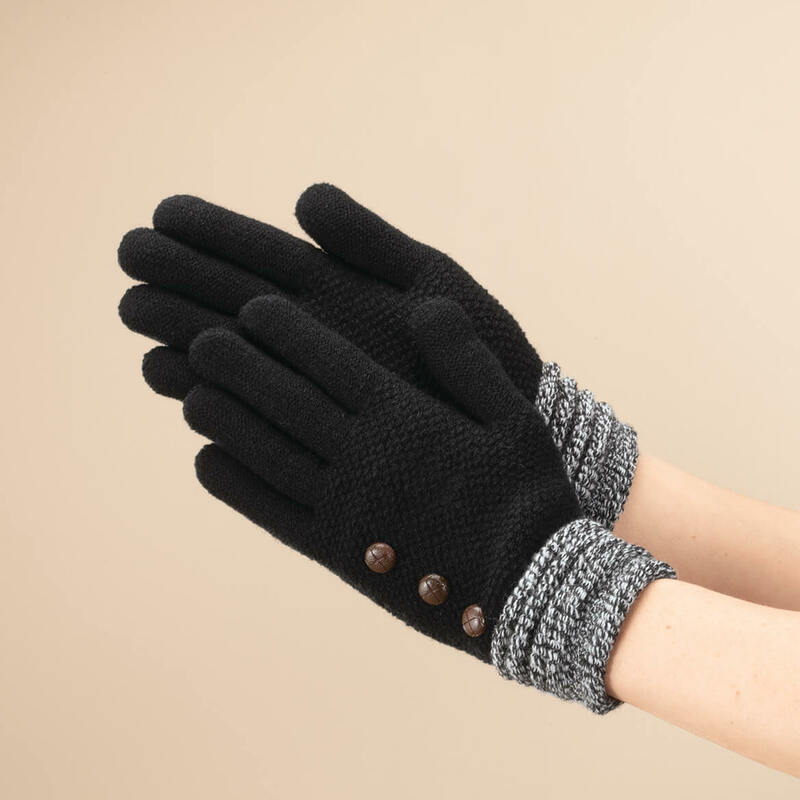 I chose this item because of the cuff feature that looks as if it will keep the gloves from slipping and won't stretch out, also, the decorative buttons are a great look. Needed brown gloves but can't find them anywhere. My wife liked the style. I need another pair of gloves. Because of the looks of them and the price and all the colors. 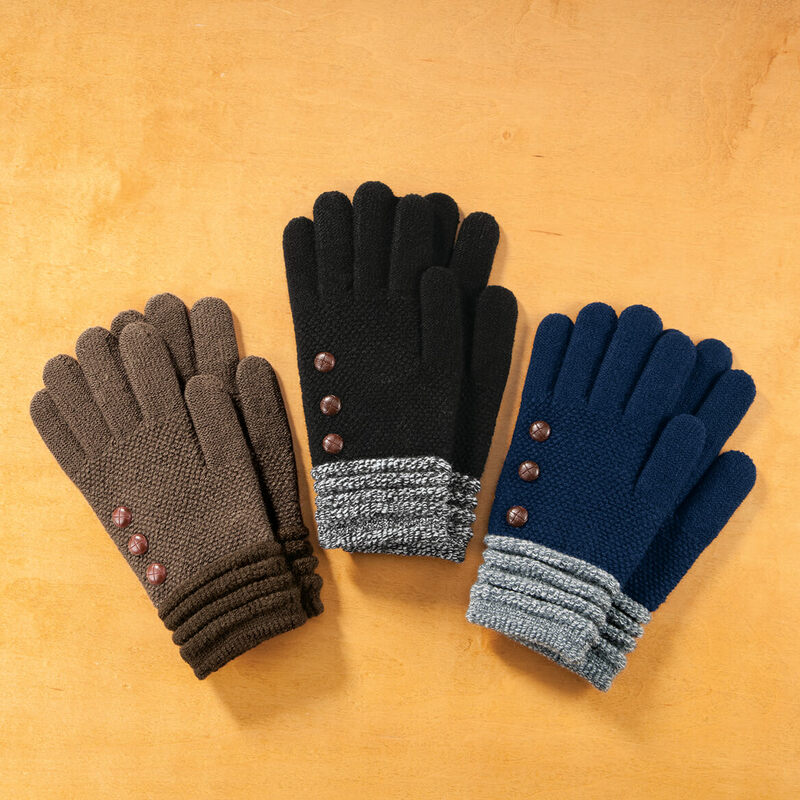 Need new winter gloves for the cold Western NY winters. I simply liked the look of them. These gloves are so soft I love them! I'm buying a second pair for myself, a different color and I'm buying 2 as gifts for my family. navy gloves are hard to find and I lost my only pair last winter. You can never own too many gloves. BEST ANSWER: I bought the mauve gloves. I love them. 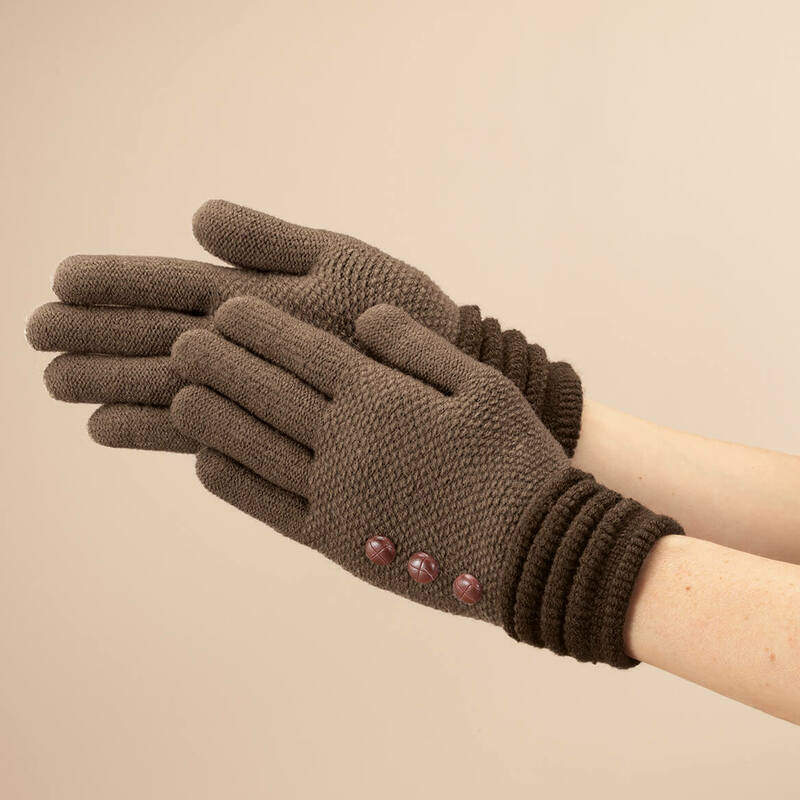 The mauve in the gloves is not purple; it is more of a mauve/brown. The cuff is the color showing on my screen. It is not a purplish/pink but more a coral/pink. These colors are hard to describe, but I can tell you they are pretty and are more flexible with different color jackets than you might think. I ordered the navy with gray cuffs, the gray with lighter navy cuffs, and the brown ones. None of those are pink, but you're probably referring to the ones that look peach colored, so I can't answer to that. 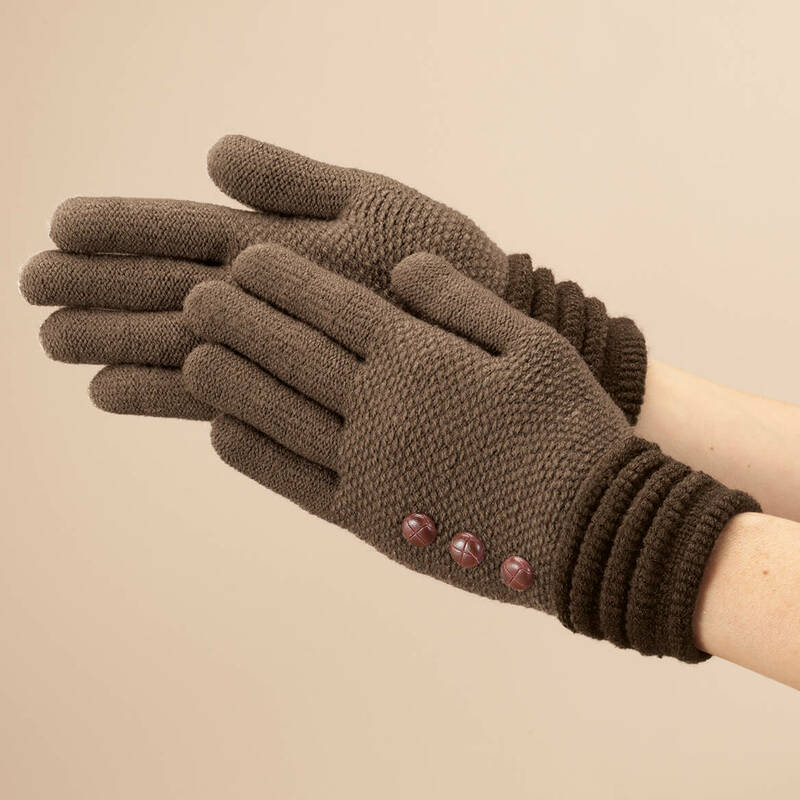 They are very nice gloves, with a delightful, soft liner in them. Really pleased with them! The cuff was more of a brownish color. The gloves I ordered were black and grey. Love them! I bought a navy and a brown pair. Both pairs have gray cuffs. i got the black with grey. they were true to the picture. The cuff is grey on the black gloves.